Diamond Rio is a country band formed in 1989. They consist of Marty Roe (Lead Vocals, Acoustic Guitar), Jimmy Olander (Guitar, Banjo), Dana Williams (Bass, Vocals), Dan Truman (Keyboards) Gene Johnson (Mandolin, Vocals, Banjo, Fiddle, Guitar), and Brian Prout (Drums). They are members of the Grand Ole Opry. Diamond Rio released their debut, Diamond Rio, in 1991. It spawned five Top 10 Country hits, including the #1 hit "Meet in the Middle", and went platinum. Their second album, Close to the Edge, released the following year, had three Top 10 singles and went gold. Diamond Rio released their debut, Diamond Rio, in 1991. It spawned five Top 10 Country hits, including the #1 hit "Meet in the Middle", and went platinum. Their second album, Close to the Edge, released the following year, had three Top 10 singles and went gold. In 1994, their third album was released. Love a Little Stronger wasn't very successful commercially, but did produce another Top 5 single in the title track. The mid-90's marked both a low point in album-naming creativity and a high point in chart success. Their fourth album, innovatively titled IV and released in 1996, spun off three Top 5 singles. (One of these, "It's All In Your Head", featured a video with Martin Sheen as a fiery preacher engaged in snake handling, mirroring the lyrics of the song.) In 1997, Diamond Rio released its first greatest hits album, entitled Greatest Hits. The album had two brand-new songs: "How Your Love Makes Me Feel" hit #1, and "Imagine That" became yet another top 5 hit. In 1998, Unbelievable was released, giving the band two more top 5 singles. The title track also reached the top 40 on the Pop charts. In 2001, the band released One More Day, whose title track became another chart-topper. The following year, the band released Completely, whose lead track, "Beautiful Mess", became their 4th #1 hit. The album also spawned another #1 single in "I Believe". 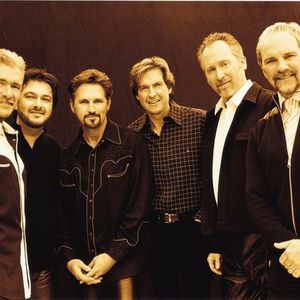 December 30th, 2005 found Diamond Rio playing their new single In God we Still Trust during halftime of the Vitalis Sun Bowl between UCLA and Northwestern University in El Paso, Texas. Their second Greatest Hits album is scheduled to be released May 9th, 2006.